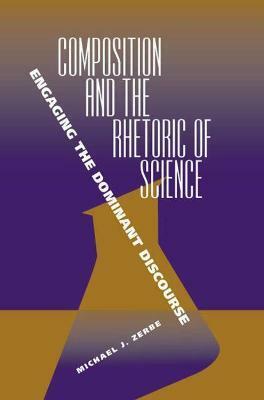 Composition and the Rhetoric of Science: Engaging the Dominant Discourse calls for instructors of first-year writing courses to employ primary scientific discourse in their teaching and for rhetoricians of science to think about teaching scientific discourse as a literacy skill. Author Michael J. Zerbe argues that inclusion of scientific discourse is crucial because of this rhetoric's status as the dominant discourse in western culture. The volume draws on Lyotard, Zizek, Foucault, and Althusser to argue that while important theorists such as these have recognized the dominance of scientific discourse, rhetoric and composition has not - to its detriment. The text illustrates that scientific discourse remains a miniscule part of the enterprise of rhetoric and composition and thus the field is not fulfilling its mission of providing students with the writing and reading skills they need to live and work in a science - and technology - dependent society. Zerbe provides an analysis of science popularizations and demonstrates how these works can be used to contextualize primary scientific research. He also presents three pedagogical scenarios, each built around a carefully chosen, accessible example of scientific discourse, that demonstrate how articles from scientific journals can be used in writing courses. Only by gaining a meaningful fluency in this discourse - one that is not offered by science textbooks - can a more sophisticated scientific literacy be assured. "Composition and the Rhetoric of Science" effectively explores the relatively limited amount of work done in rhetoric and composition on scientific discourse and questions this state of affairs. Zerbe presents for the first time cultural studies and science literacy as gateways for incorporating scientific discourse into first-year writing courses.